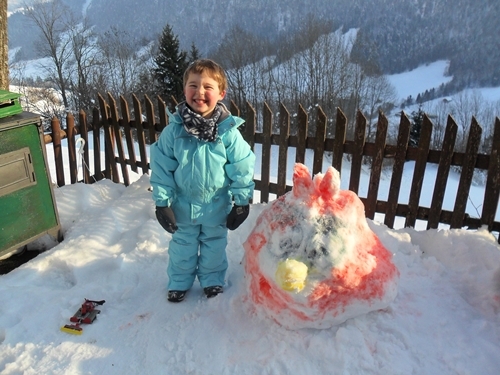 So you remember when it snowed at home we made the snowman and the snowdog and we made art in the snow with squeezy bottles? Well in Switzerland we stepped it up a little. 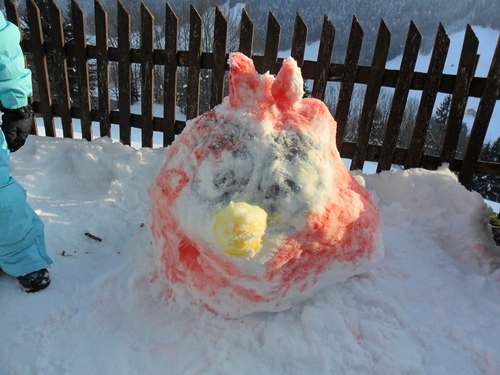 I give you, in glorious technicolour, snow angry birds…. 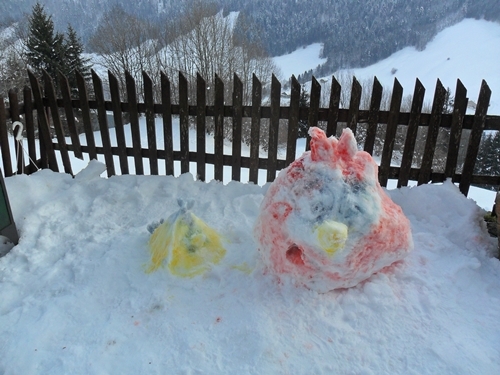 We made them from snow and then ‘painted’ them with food colour and water in a squeezy bottle. The colour faded after 24 hours though. See? 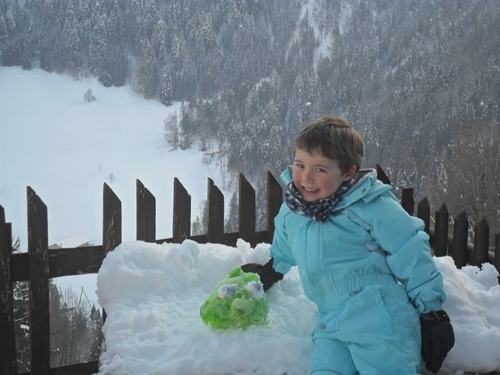 the piste basher got an outing too. 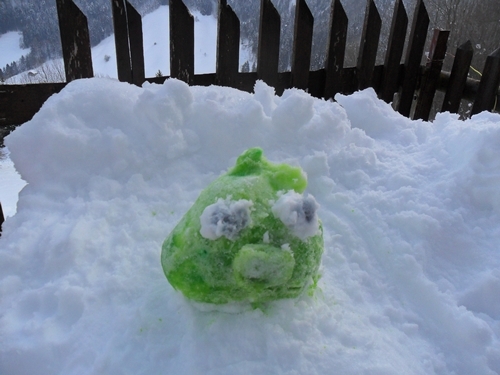 What a fab idea, must remember this and do it with my son!